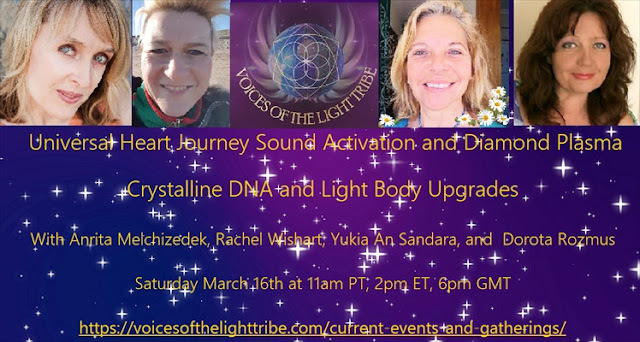 Join Anrita Melchizedek, Yukia An Sandara, Dorota Rozmus and Rachel Wishart in a beautiful two hour sacred sound and light encoded Diamond Plasma Crystalline DNA and Light Body transmission as we travel along the Pathways of Divine Love into the Cosmic Heart of All Creation. As we step into deeper levels of our own Christed Radiance, the Light of the Divine Father ignites ever deeper within our loving hearts, and brings with it a renewed reverence of the Divine Masculine archetype. Wrapped in the Diamond Flame of Purity and Innocence, we have a sense of this reverence within our own lives as we surrender to each unique experience we have whilst clearing the old cellular memories of victim and persecutor consciousness and in particular, the sub-personality aspects that imagine themselves to be unworthy or that sit in judgment of self and others. Additionally, the three-fold Flame of Power, Love and Wisdom amplifies through the Overlighting of the Mahatma, the Cosmic Avatar of Synthesis. The Mahatma energy primarily assists us in upgrading our Diamond Plasma Crystalline DNA and Light Bodies through increasing our Cosmic Light Quotient. As we actualize our I Am Avatar Blueprints of Light we draw upon the energy of the Mahatma, amplify the three-fold and move into the body, ready to accelerate our Soul’s forward evolution to the next level Light Body and a renewed balance of our Divine Masculine and Divine Feminine Spirits. We then experience the Cosmic Ray frequencies and the Spiritual Microtron. Wrapped in the beautiful Light rays of Creation, the Spiritual Microtron, described as radiating from the Cosmic Heart and Eternal Divine Light of Mother/Father God, potentially accelerates the frequency of Light in our body faster than the speed of common light through the persuasion of micro sub-atomic particles due to the splitting of the atom. We move into higher timelines and beyond ring-passeth-nots in breath, frequency and energy, and from here back into the body and into a deeper flow of the kundalini and tantric energies and Cosmic Templates of New Earth. We step through the Doorway of Divine Love, in Power, in Love and in Wisdom, fulfilling our heart's dreaming, and co-creating our Heaven on Earth as One Heart and One Unified Field of Light. From this space and place of Love, Yukia offers us a Cosmic Universal Heart Journey Activation to anchor Unity and Peace Grids on the New Earth. Deeper into the Gateway of Unity we journey, anchoring the New Earth Templates, Ocean Templates and Grids. Upgrading and igniting our DNA and that of our sacred earth, we experience the Diamond Flame of Purity and the frequencies of the Crystalline Cities of Light. We deepen into new reconfiguration creation codes, we light up the unlocking spaces within the dormant DNA. We create an energetic harmonic resonance wave of unity, igniting the white fire of Mother Earth to blend and rebalance the Divine Masculine/Feminine in perfect unison beyond zero point and into the infinite potentialities where all is Love. Dorota Rozmus, holding the loving voice of the Divine Feminine, as a voice healer and vibrational alchemist, lovingly clears and purifies all levels of our vibrational field in a re-union of the heart and mind, through the harmonization of vibrational alchemy. Her Light language and sonic frequencies purify our energy field and take us into a place of harmony, peace, trust and love, where all is well, where all is One. Where we are held by the Divine Mother in the heart of all creation. Rachel offers us a drum transmission and Light Language transmission to ground these energies experiencing the ray frequencies igniting ever deep through the DNA, awakening more to the consciousness of ourselves, to the consciousness of Mother Earth and all her Life. One Heart, One Love. Registration for this two hour event is $22. When you click here for registration, you will be taken through a Zoom/PayPal registration link. You need to sign up with your name and email address, and will initially be taken through the PayPal portal to remit your payment and then you will be redirected back to Zoom. You don't need a PayPal account, as you can also remit payment via credit card. You will receive an email with the telewebinar link after payment is complete and you are registered for the webinar. You can then join live through your link Saturday or listen later with a replay link, which will be sent following the telewebinar. This is an audio/video transmission and the best way to listen is online although you have the option to call in through local access numbers, although most of these are not toll-free. Due to the set-up of this payment gateway, we are not able to offer free registration at the time of the event for those not able to remit payment. However you are always welcome to come as our guest and we will be able to send a replay link to you following the event. 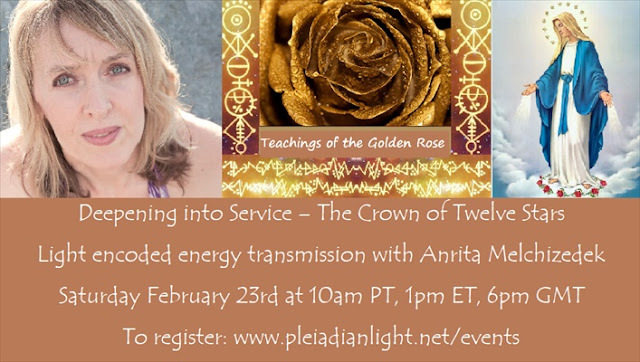 To receive the replay link only, you can email us at info@pleiadianlight.net requesting the replay link for this webinar. To remit a donation and receive the replay link only, CLICK HERE. For registration through PayPal click here. Thank you for your support. You are truly so greatly appreciated. We are amazing. As the voices of the New Earth and Light of God upon this sacred earth, we have collected anchored the New Earth Templates for this Golden Age. The Divine Mother embraces us within her loving heart as we deepen into our service work walking the Path of Love. We are the Flames of Divinity igniting the kundalini through our Temples of Light, mirrored through the Unity Grid of Divine Love, and connecting to the Light of the Father through the crown chakra. The crown of twelve stars upon our heads is the Sun and Suns beyond the Sun. The twelve dimensional templates of Light now being activated draws to us the twelve Solar Hierarchies and our twelve Higher Selves amplified through the Photonic rays, Solar flares and Plasma frequencies. As the Light encodements of the New Earth Templates ignite ever deeper through and into the Unity Grid and through our collective Crystalline Diamond Plasma DNA, the Gaia/Schumann resonance hit an all-time high of 67 Herts on February 16/17. With collective Soul embodiments now being experienced for the Light Tribe, the I Am Avatar Consciousness of Light, change is occurring rapidly and we are invited to step up and expand our service work. Process work for this includes deeper recalibrations through the energy bodies, third eye and crown chakra. Our base chakra starts to grounds new frequencies of coming home, amplified through the higher heart and the kundalini energy starts to shift beyond the sacral chakra as new Solar Light patterns emerge. Additionally the higher trajectory timelines are bringing into this Now timelines of new/old service blueprints as we merge with and integrate our multidimensional Selves and Higher Selves through these Golden Age Timelines of Light. With the latest round of DNA upgrades and purging’s going on within our bodies and the body of Mother Earth, many are needing to take time out to rest and rejuvenate as the Divinely inspired Light codes of Unity and Service connect with the energy of the Divine Mother as well as Sirian Consciousness, the primary gateway of Soul embodiment, or Higher Selves. This higher vision of Soul purpose connects into the pineal gland and for some headaches in expanding consciousness and for others, greater levels of sensitivity. We are the observers, dreaming our reality into creation through the organic Christed Timelines and new Stargates, along with the impulsing of the rays of Shamballa, Overlighted by our Galactic families, Angelic Realms, Brotherhood of the Light and Sisterhood of the Rose. Mother Mary comes forward with Sananda, Jesus the Christ, inviting us to experience the Mother/Queen archetype and Father/King archetype. To truly feel our power, our wisdom, our knowing, our Divine Heart, beating as One. One Love and One Unified Field of Light. We hear the call of the Universe and we respond to the invitation. We activate our Light Bodies and as initiates of Light, we enter into the Sirian Temple of the Goddess. Overlighted by the Sirian Archangelic League of Light, the Brotherhood of the Light and the Sisterhood of the Rose, we attune to the Pink Sirian Seed Crystal within this Temple which activates the pink flame of Divine, compassionate Love within our loving hearts. We initially merge with our Higher Self/Sirian Christed ET Self as we dissolve and transmute emotional and etheric debris no longer needing to be experienced; particularly old emotional ties or misused or abused heart energy imprintings as the Akashic records on the lower timelines continue to dissolve. Dissolving too mother issues and/or father issues. The Sirian Temple of the Goddess embraces the Divine Masculine archetypal energy as it surrenders to the Divine Feminine archetype. Embracing, loving and appreciating our Divine Masculine Spirits and all they have done to defend us and protect us, honoring the masculine, honoring the feminine. In this rebalancing of our Divine Masculine and Feminine Spirits, new spirals and portals of energy ignite within the body as the kundalini activates. We breathe deep into the body, allowing these Light codes of healing energy to be experienced within the body, as we lift our frequency into the higher dimensional fields of Light and embrace the full range of our emotions. Our Sirian Higher Self places upon our head a headdress of a golden sun disc encoded with the new Light codes as well as the purpose of our Soul in this Now, awakening within us new gifts and new realities of unity and Love. As we find ourselves aligning to the Center of the Galaxy through this Vortex of the Goddess and our Higher Hearts, we connect into the Inner Earth Sun, the Golden Sun within our Hearts, the Sun, Central Sun, Great Central Sun and all Suns beyond this. As we align through all twelve dimensions of Light we merge with all Higher Selves and our Beloved I Am Presence. Additionally we find ourselves embracing the Queen/Mother and/or King/Father archetypes. Around our headdress of this Golden Sun Disc, a crown of twelve stars appears, amplified in this moment by the super moon. And around our feet, a circle of red roses. And so it is. And so it is. In this beautiful two hour telewebinar transmission Anrita Melchizedek guides us in an energetic encoded transmission as we deepen into the teachings of the Golden Rose, the Path of Christos-Sophia. Registration for this two hour event is $33. When you click here for registration, you will be taken through a Zoom/PayPal registration link. You need to sign up with your name and email address, and will initially be taken through the PayPal portal to remit your payment and then you will be redirected back to Zoom. You don't need a PayPal account, as you can also remit payment via credit card. You will receive an email with the telewebinar link after payment is complete and you are registered for the webinar. You can then join live through your link Saturday or listen later with a replay link, which will be sent following the telewebinar. This is an audio/video transmission and the best way to listen is online although you have the option to call in through local access numbers, although most of these are not toll-free. As the New Earthers and Flames of Divinity in this Golden Age, we embody the Threefold Flame of Power, Love and Wisdom through Service in Love and Soul embodiment, and further assist in igniting this Flame within the hearts of all humanity. We choose to experience the Path of Earth Service, of Unity Consciousness, and all that it brings as we deepen into our collective magnificence and Light, and the flow of our loving hearts. As we experience the merging and integration of our numerous multidimensional Selves, and Higher Selves, we connect more deeply to our elder Brothers and Sisters, the Brotherhood of the Light and the Sisterhood of the Rose. We find ourselves traveling into Mother Mary’s Temple of the Immaculate Heart, igniting our Flame as One Heart and One Love, whilst focusing on physical body upgrades, self-love and self-appreciation. We also experience a greater sense of being the Chela on the Thread, Overlighted by the Masters of Shamballa and Lord Buddha, the Planetary Logos. Lord Buddha draws us into his Body of Light, sharing with us a discourse transmitted energetically on living the Noble Path. The Noble Path is offered to us as Initiates of Light and Sons and Daughters of God, living New Earth and multidimensional realities of Unity Consciousness, and in this transmission, breathing in the Light of Creation through the qualities of the first eight rays and Ray Ashrams of Shamballa. We feel and sense the truth within our loving hearts of the Compassion teachings of Buddha as we connect with the Group I Am Avatar Consciousness though our Beloved I Am Presence and the Ascended Realms. Lord Buddha takes us deeper into compassion and patience, liberation and acceptance whilst understanding that all Life is Divinely Equal, and that it is just the levels of Cosmic Consciousness that differs from individual to individual. We understand too that by embracing our challenges and our suffering as initiations of Light, we experience the Flame of Power, Love and Wisdom. In this telewebinar transmission, we deepen into Soul embodiment through the principles and energetic frequencies of the Path of Buddha as well as practical applications of the Buddhic Path in our everyday lives. We are invited into Shamballa where we will experience the first eight rays of Creation through the Noble Path of Gautama Buddha. We anchor the ray frequencies and New Earth Blueprints of the Noble path through the chakras, giving us the multidimensional perspective of looking through our “master eyes”. We breathe in the qualities, energies and Overlighting of Mother Mary, Lord Buddha and the Ascended Realms, and exhale as One Heart and One Unified Field of Light, nurtured and loved, appreciated and celebrated as the Light of God we are. 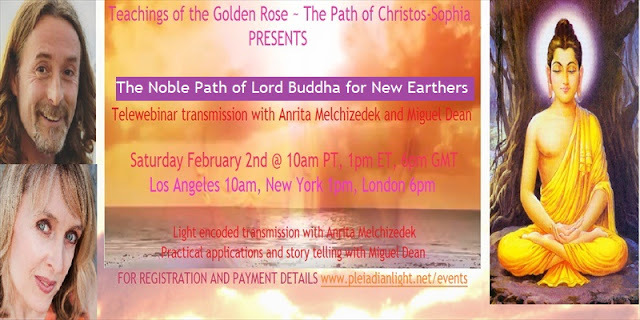 In this beautiful two hour telewebinar transmission Anrita Melchizedek guides us in an energetic encoded transmission, and Miguel Dean brings through some wonderful practical examples of living the Path of the Buddha, the Path of the Compassionate Heart. About Miguel Dean: My life’s journey began with the loss of my mother when I was still a baby. This motivated and inspired me, as a young man, to go in search of the love that I had tasted so fleetingly. To begin with I got very lost in a shadowy world of drugs, crime, violence and homelessness. Later on I looked to women to heal the mother wound within me, until over time and after several failed relationships, the realisation arrived that what I sought was to reconnect with the Divine Feminine and that She was always within me. This inner journey and my journey in the world gifted me with the tools, wisdom and insight to guide others who also are ready to return home through the inner reunion of divine masculine and feminine within. This is such important work because in so doing we contribute to creating a more beautiful world for the children and generations to come. Much of my work has been about empowering young adults and inspiring adults to contribute in whatever way possible to raising the consciousness and vibration of the collective. The most powerful way, in my experience, to do this is by looking within and doing our inner work, dissolving timelines and alchemising the gifts from our uncomfortable experiences and woundings. Last year The Goddess has asked me to take my work to a whole new level and stand up and be counted as a man who is committed to the ongoing journey to deepen the embodiment of the sacred masculine. And I have accepted her request. I am passionate about facilitating this important work: the sacred union of the divine masculine and feminine within the hearts and souls of those who are ready for this alchemy. It is time for the divine feminine to be fully realised and for the complete purification of the sacred masculine because this sacred alchemical marriage is a key factor in the birthing of the new earth. About Anrita: Priestess, Intuitive Apothecarist, Starseed, Light Weaver, Angel Messenger, Wayshower, Catalyst, Empath, Soul Reader and Mother. Anrita Melchizedek was born with many of her ESP gifts already activated, and in communication with the Company of Heaven as an empath, channel, and natural healer. As a Soul Reader and Light weaver Anrita sees the Light codes of potentiality within energy fields and draws from these Light codes and blueprints when connecting with others. This allows her to assist others in weaving their codes of potentiality into their greatest expression of Self as Flames of Divinity walking this Path of Love. She further embodies and transmits the energy of Love as a conduit for the Sisterhood of the Rose and Brotherhood of the Light. Anrita’s path of Earth Service is to amplify our gifts and deepen our connection to the Divine Mother in Unity, Community, Peace and Love. Anrita’s teaching style is uplifting and inspirational, and above all, offers keys to Self Mastery. Mercy, Compassion, Forgiveness, Wisdom and Love ignite within the Three-Fold Flame of our Christed Hearts, as Mother Guan Yin rides the Golden Dragon of Unity Consciousness and At-One-Ment and the Phoenix rises from the ashes. Renewed and reborn in the Fire of Purity, we take a leap of faith, letting go and letting God. As the Resurrection Codes activate within us, we merge with our Higher Selves, into timelines of Golden Ages as well as deeper into the space of our feelings and the spaces between our feelings simply of Love; feeling now more deeply than ever our connection to the Divine Mother as we open to receive and Love all that arise within the infinite, eternal Divine Presence of Love. With this, we recognize our perceived challenges as initiations of Light and as compassionate witnesses acknowledge herstory of pain and suffering through surrender to the Divine Mother, and surrender to the inner goddess. Along the Path of Earth Service we travel ever deeper into our loving hearts and ever deeper into Compassion, Mercy and Self-Love. Mother Guan Yin steps forward now, lovingly cupping a beautiful Blue Pearl, known as the Jewel of Enlightenment, of Divine Love, of Mercy and infinite Compassion. Compassion whose foundation is wisdom through life’s lessons found along both the karmic and Christed Timelines. 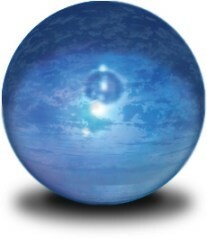 The Blue Pearl is a tiny point in the crown chakra that is the seed of Consciousness of the Beloved I Am Presence. Located within the pineal gland, it is also referred to as the mental jewel, able to take us into the illumination of the mind, to the point of stillness and emptiness. Emptiness of desire, emptiness of thought …..where only Love exists. Beloved Mother Guan Yin energetically holds the “Soul” of all sentient Beings. As the Divine Mother her very presence opens our hearts’ to embody The Jewel of Enlightenment in the Soul embodiment ascension process we are collectively experiencing in this Golden Age of coming Home. As we open our hearts to receiving and deepen into self-love and self-mastery, we walk the path of the Lotus; in each perfect Now moment, we merge with our Higher Selves, and the Soul Rays of each Higher Self. We experience our magnificence and Light as Flames of Divinity, and embody our multidimensional Selves as the Priests and Priestesses, Gods and Goddesses, Queens and Kings, Warriors and Warrioresses, Sages, Oracles, Wise Women, Healers, Teachers, Wayshowers, Yogi’s, Grid Keepers, Shamans, Starseeds, Earth Seeds and so on; the Councils of Light, and the Voices of New Earth. We are invited into Mother Guan Yin’s Temple of Mercy. We are initially invited to nourish our inner goddess and release unworthiness and shame, low self-esteem issues and body conscious issues as we prepare our bodies as the physical Temples of Ascension for deeper levels of Soul Embodiment. In our Robes of Light, with the emblem of the Three-Fold Flame and a Pink Lotus with a Blue Pearl embedded within this on the left breast and on the back between the shoulder blades, we are wrapped in the Golden Yellow Flame of Wisdom, the Pink-Orange Flame of Illumination and Love and the Violet Flame of Transmutation and God’s Infinite Perfection as we travel as compassionate witnesses to clear the karmic timelines and go before the karmic board. In the mantra “Om Mani Padme Hum” – which means “the precious jewel atop the lotus” – “Mani” is the precious jewel and “Pedme” is the lotus. “Om Mani Padme Hum” beseeches us to fall in love with the mud, to fall in love with the Blue Pearl. It is the compassion and wisdom of Guan Yin. By reciting the mantra “Om Mani Padme Hum” every day, we are reminded that during difficult times, we must shed our fear, our anger, our doubt and our judgment. The 21st Century is the century of the Divine Mother. It is the time when the feminine energy of Enlightenment will assert itself throughout the world”. 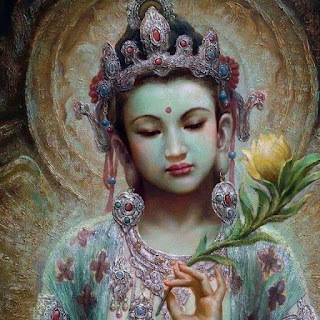 Within Mother Guan Yin’s Temple of Mercy, we experience a pineal gland activation, and move deeper into the breathing patterns and rhythms of our own bodies, breathing in love and breathing out love. We come deeper into empowerment, into fully accepting our service roles and expansions of our service work through Mercy and Love. We deepen into the recognition that everyone on this sacred earth are our brothers and sisters and into deeper respect for all Life. We are One Heart and One Love. With compassion and understanding, we see not only our own pain but we see the pain and suffering of others. Our mercy, amplified through our unique experiences to know ourselves as Love, clears the karmic timelines for humanity, and offers us the ability to build the diamond Light grids of Compassion and Mercy upon this sacred earth as the Light of God we are. As the kundalini activates and we deepen into a renewed balance with our Divine Masculine and Divine Feminine Spirits, our inner god and goddess, our energy bodies and Rainbow Light Bodies of the New Earth, the higher dimensional templatings and Divine Blueprints activate. From the New Earth Grids of Divine Love, we flow this energy of Compassion and Mercy, Forgiveness and Love within, through and around the body through our Three-Fold Flame in preparation for this Initiation of the Blue Pearl ~ The Jewel of Enlightenment. With our Divine Mother Guan Yin by our side, we are invited into Lord Lanto’s Temple of Wisdom for this sacred initiation, activating our collective Heart of Mercy and Compassion and Wisdom through these Plumes within our sacred hearts. Hearing the chants once more of “Om Mani Padme Hum”, we are invited to experience the pure frequency of each sound, of each vibrational frequency of light. With the sound of Om, we focus on the Perfection and Practice of Generosity. With the sound of Ma, we focus on Ethics as we reveal deeper levels of Truth. With the sound of Ni, we focus on Tolerance and Patience. With the sound of Pad, we focus on Perseverance and Diligence. With the sound of Me, we focus on Renunciation. With the sound of Hum, we focus on the Practise of Wisdom. 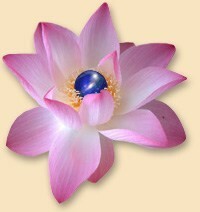 Lord Lanto activates the Three-Fold Flame of the Pink Lotus and Blue Pearl within our Christed Hearts. A Thousand-Petaled Lotus Flame then ignites within the crown chakra. And then, the Blue Pearl activates within the Pineal Gland as we merge with our multidimensional selves and in particular the Priest and Priestess archetypes and our Beloved I Am Presence. Additionally we experience the energy of this beautiful Initiation of the Blue Pearl ~ The Jewel of Enlightenment through the back of the heart chakra and within the third eye and crown chakra as the kundalini energy ignites and as we breathe deep into the body. Breathing in wisdom, breathing out forgiveness. Breathing in compassion, breathing our mercy. Breathing in love, breathing out love. Breathing in stillness, breathing out stillness. An empty mind. One Heart, One Love, and One Unified Field of Light. As we end, Lord Buddha comes forward and places his Rod of Initiation to the heart chakra and then crown chakra. And so it is. And so it shall be. Walking Heaven on Earth, as the Light of God We Are. To focus the consciousness of Gautama Buddha! And I AM the thousand-petaled lotus flame! And I come to bear it in his name! That is the I AM Presence of each one! I claim the victory in God's name. I claim the light of solar flame. I claim the light! I AM the light! I AM victory! I AM victory! I AM victory! Lord Lanto’s Prayer is offered to us through the late Mark and Elizabeth Claire Prophet of the Summit Light House. The Summit Light House Teachings further shares that Lord Lanto is a master of the power of precipitation—the alchemical process of drawing forth cosmic light and substance from the universal substance and coalescing it into physical form, often by using the Science of the Spoken Word. Having studied under Lord Himalaya and gained his mastery in the Retreat of the Blue Lotus, Lord Lanto elected to use the yellow-gold plume to enfold the hearts of all mankind. He is dedicated to the perfectionment of the evolutions of this planet through Cosmic Christ illumination. The yellow-gold flame that he bears is charged with the momentum of God-victory for the youth of the world. Lanto volunteered with Sanat Kumara, the Ancient of Days, to come to earth long ago for the rescue of the planet and her evolutions. He was a High Priest in the temple of the Divine Mother on the continent that sank beneath the Pacific, known as Lemuria. He had other incarnations on Atlantis, as did all of the chohans of the rays. In the last days of Lemuria, those who tended the flames upon the altars of the temples were warned of the coming cataclysm. They removed their flames, carried them to places of safety, and deposited those flames in other physical retreats or removed them to the etheric octave. (It is said) Lord Lanto carried the flame of precipitation and deposited it in the area of the Grand Teton mountains in North America. Beloved Initiates, Gods and Goddesses, Priests and Priestesses, we invite you to come and join us in this beautiful heartfelt transmission of Divine Love via Facebook Live. As we come together as One Heart, One Love, One Unified Field of Light. And so it is. And so it is. Thank you for your magnificence and Light. You are so greatly appreciated. Priestess, Intuitive Apothecarist, Starseed, Light Weaver, Angel Messenger, Wayshower, Catalyst, Empath, Soul Reader and Mother. Anrita Melchizedek was born with many of her ESP gifts already activated, and in communication with the Company of Heaven as an empath, channel, and natural healer. She has an ascension network offering numerous spiritual programs in the form of eBooks, Mp3’s, as well as vibrational energy products. As a Soul Reader and Light weaver Anrita sees the Light codes of potentiality within energy fields and draws from these Light codes and blueprints when connecting with others. She embodies and transmits the energy of Love as a conduit for the Sisterhood of the Rose and Brotherhood of the Light. She hosts a weekly show, New Earth Cosmic Conversations and will soon be setting up the Voices of the Light Tribe conferences. Her teachings are presented through You Tube videos, invocations, telewebinars and free downloads. I AM Lightbeing. Like you, and so I bring many soul memories to help others. I AM blending with Guan Yin as my Light Family has directed me to do which is why I often use Her name, gender and birth-celebration day. She manifested a real rare deep sea ocean pearl out of the Heart of Her Statue in front of my friends when I prayed to Her and so She has been the focal Heart energies for directing me to the wisdom of exalted bliss, the heart of emptiness and the clear light of being in this lifetime. I was initiated by the Dalai Lama into the Path of Avalokiteshvara/Chenrezig/Guan Yin and the seed syllable that arose in my heart is HRIH also the seed syllable of Amitabha Buddha, Guan Yin’s own teacher. My name in that incarnation was HRIHDAYA which means the seat of Pure Consciousness, the Seat of God in Us, realized as Existence, Knowledge and Bliss through meditation and compassion. So life is simple for me. Love, compassion, beauty, devotion, simplicity, wisdom, kindness and understanding.